Coccolina's Babies are 3.5 weeks old. Time flies. 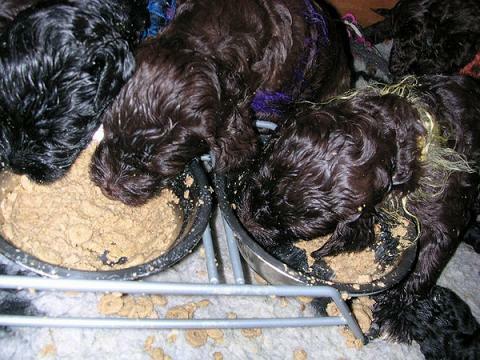 They are being introducent to some solid food. The pipi room...with a modern art exhibit! There is a brown male with white left to find a home. I'm as proud as can be to announce that Caya, brother to Compay, che, Charly and the others is going to be a Daddy! The mother is Bepop-a-lula who lived with us here in France for 10 months last year before she was allowed into the UK. 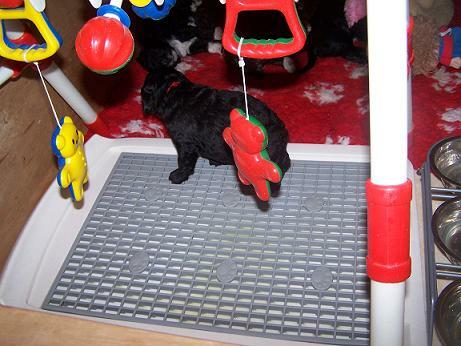 Bepop is a lovely Barbet with a fabulous character....believe me, I'll never forget that little girl. 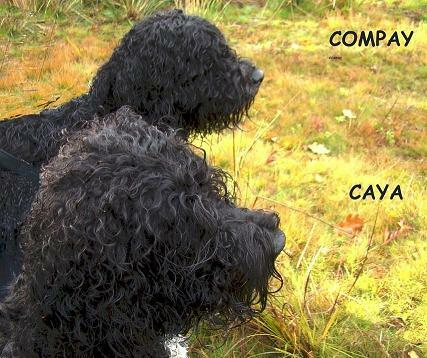 Caya is perpetrating the Barbet français bloodline traced back to the 1920's as shown on the homepage along with the Italian line of Barbets.